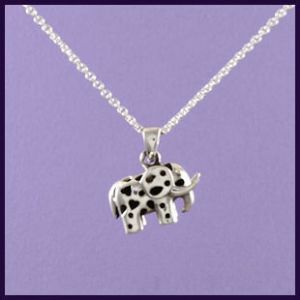 The Elephant necklace is a 3D pendant of a sterling silver elephant with black hearts and spots on one side and plain on the other. The pendant comes on a 925 silver chain. 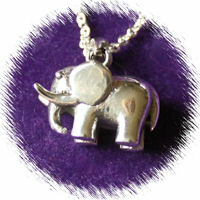 The pendant is 15mm high, 15mm wide and 3.5g in weight. You can choose between different chain lengths.